We are at the beginning of a new phase here at Lancaster Arts and trying out new ideas. One of these new ideas is a pilot festival that links with the renowned Afrika Eye festival in Bristol. So we are keen to find out if there is an appetite for a sister festival to Afrika Eye – hence Afrika Eye North! We would love to create a contemporary African arts festival that really has resonance for Lancaster, for artists of all kinds, fellow arts organisations in the area such as Ludus Dance, filmmakers, students and young people, those working in the rich array of groups in Lancaster like Global Link and East meets West - as well as the curious! Through film, music, dance, art, and conversation, we will question and challenge the myths, stereotypes and perceptions of people and countries in Africa and explore what connects us all through creativity and imagination. Our post screening discussions will investigate what we have in common as well as delight in the new and unknown. This year we will be showing memorable films from Zimbabwe, Ghana, and the Democratic Republic of the Congo with a children’s animation based on stories from Senegal. Afrika Eye North will bring musicians new to the Lancaster landscape that we hope can be lured back! 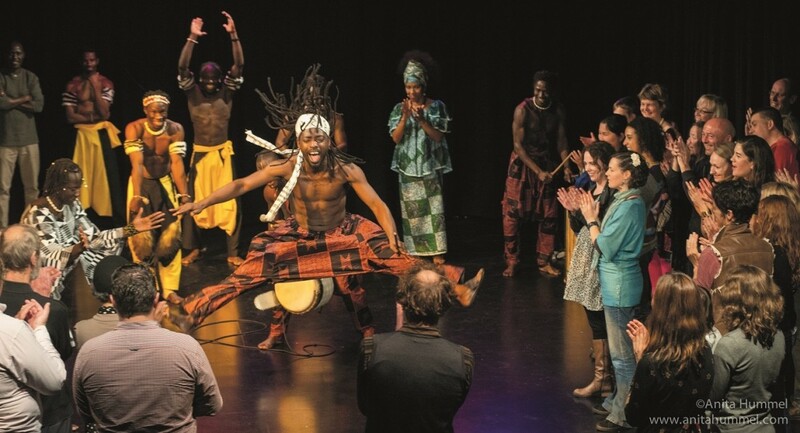 Have a listen to Mim Suleiman and Ballet Nimba. Both will definitely have you dancing in the aisles! There will be lots of opportunities to take part as well– Mim will lead a singing workshop at the Gregson Centre on Saturday July 7th at 1:30 that you will not want to miss! And if you hurry from there to the university you will be able to get into the groove with the very special Ripton Lindsay at 3:30. We want the festival to introduce us to new artists and influence our future programme here at Lancaster Arts. Kwame Boafo, a performance and movement artist from Ghana will be the artist in residence for the week preceding the festival and will be hosting a conversation about his work and life in Accra on Tuesday, July 3rd at The Storey at 6pm. This will be quite a unique moment for learning about contemporary work in West Africa. Most of all, we are passionate about connecting people, whether these be artists who are unfamiliar with each other’s work or introducing you to new artists and their inspirational stories. Please join us for the Festival Launch on Friday, the 6th at 6pm at the Peter Scott Gallery when we will open Lives in Print , an exhibition of stunning lino prints created by a collective of Senegalese artists. There will be so much to see and do at Afrika Eye North and we hope you will be so thrilled with the festival that we can’t help but bring it back in future years!